What can pizza do for you? Find out now. Calculate your potential annual gross profit margin with our handy profit calculator. 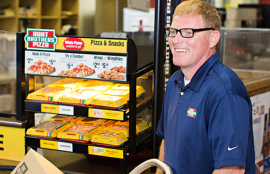 Just enter your average number of daily in-store transactions and we’ll show you what’s possible with TBHC Delivers and Hunt Brothers® Pizza. Ready to talk pizza and crunch numbers? 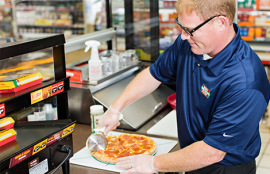 Request an on-site Pizza Bake in your store to sample our product and learn how we can help you grow your business.